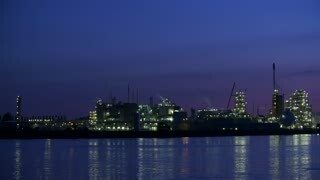 DORDRECHT, THE NETHERLANDS - SEPTEMBER 13 2018: A river cargo ship passes by a riverside chemical plant by sunset. 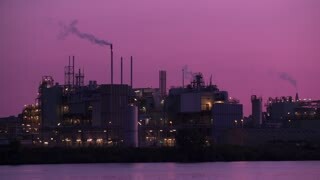 Smog surrounds a working riverside chemical plant. 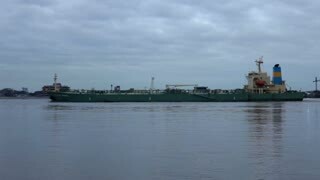 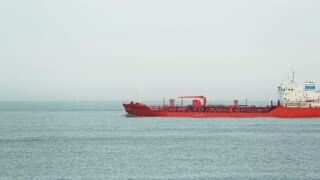 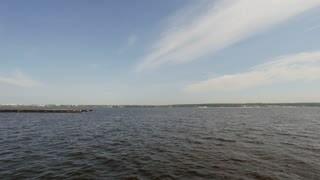 A red chemical cargo ship at sea passes before the camera. 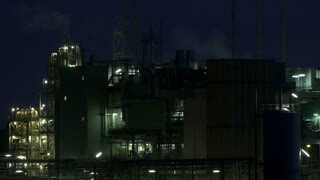 Manufacturing industry - an establishing shot of a riverside chemical plant by night. 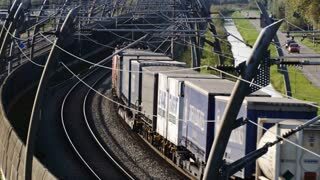 SLIEDRECHT, NETHERLANDS - OCTOBER 13 2018: A cargo or goods train composition traveling over the Betuweroute route, connecting the Port of Rotterdam to the German border. 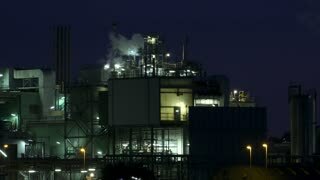 Chemical industry - an establishing shot of a riverside chemical plant by night. 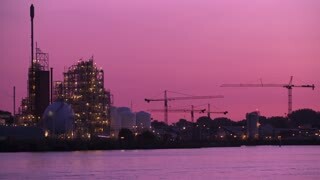 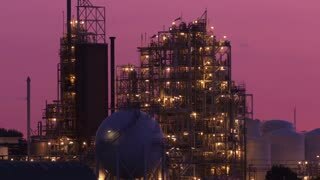 Chemical industry - an establishing shot of a riverside chemical plant by sunset. 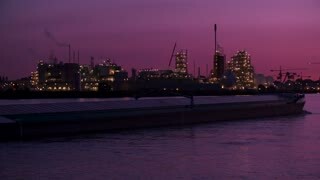 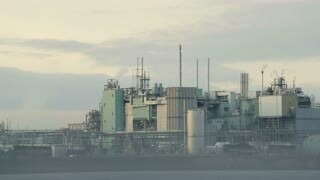 Manufacturing industry - an establishing shot of a riverside chemical plant by sunset.